Home / Political News / Atiku To Obiano: "Do not Campaign For Buhari"
Atiku To Obiano: "Do not Campaign For Buhari"
Presidential candidate of the Peoples Democratic Party, PDP, Atiku Abubakar has, through the Director-General of Atiku-Obi Campaign Organization, Dr. Harry Oranezi, warned the Governor of Anambra state, Willie Obiano, to stop campaigning for President Muhammadu Buhari. The warning came following recent comments credited to Obiano wherein he stated that Buhari had done well for the South-East and South-South geopolitical zones for commencing work on the second Niger Bridge. 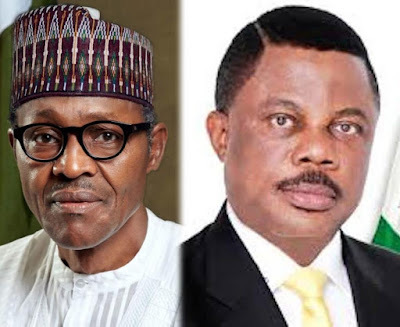 “Obiano support for Buhari is in utter disregard to his (Buhari’s) penchant to marginalize and discriminate against the people of the South-East and Anambra State in particular. 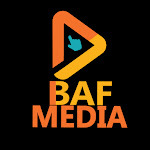 “Buhari has continued to maintain studied silence over the massacre of innocent South Easterners in the North, strategic exclusion of Southeast in rail connection, security architecture of the country and sundry appointments. “The Igbo’s shall not be deceived by the actions and utterances of persons who want to achieve ill-conceived objectives”. Obiano had expressed satisfaction with the standard and pace of work on the Second Niger Bridge as he also thanked the Buhari administration for completing the Zik Mausoleum. The Mausoleum is located at the popular Borome in Onitsha, the commercial nerve of Anambra, and home of the first President of Federal Republic of Nigeria. Obiano spoke during some visits to the mausoleum and the Second Niger Bridge. He said the completion of the mausoleum by the Buhari administration was an immeasurable honor to Anambra people and the entire South-East people. Obiano said that previous administrations paid lip services to the project, resulting to its abandonment for more than 20 years. The governor also appealed to the Federal Government to step up action in the procurement of necessary facilities for the library section. He said it would be nice to have everything in place before the visit of Mr President to Anambra in a few weeks’ time for the inauguration of the mausoleum. “President Buhari is determined to keep to his promises on the Zik’s mausoleum. “ The project is an honor to Zik of Africa, who played major roles in shaping the nation. “This project started 23 years ago and we must thank President Buhari for keeping to his words’’. The governor was visibly happy with the extent of work done so far at the site of the second Niger Bridge. He said he was confident that the Federal Government under President Muhammadu Buhari would deliver on the job as scheduled. He noted that the bridge, when completed, would not only boost the economic activities of the South-East and South-South but that of the whole country. “I have no choice than to praise President Muhammadu Buhari for his determination in the implementation of other federal government projects in the state and other states in the region,” he said. The Project Director, Julius Berger Construction Company, Mr Fredrick Wieser, explained that the construction would be in three phases. Wieser noted that the federal government has already made advance payment of 15 per cent which amounted to N30 billion as mobilisation fee. According to him, the bridge will be 1.6 km, while the access road from Asaba axis will be 3.3 km and 7km from Anambra respectively. “Right now, we are doing foundation work in the river which will be 50 metres deep. “The pilling work in the river will be 15 metres above water level to allow free flow of ships,’’ he said. He, however, pointed out that with the determination of the present administration, the project would be delivered on or before Feb. 28, 2022.
through the Director-General of Atiku-Obi Campaign Organization, Dr. Harry Oranezi, warned the Governor of Anambra state, Willie Obiano, to stop campaigning for President Muhammadu Buhari.